There’s this lunch place by my office that boasts really healthy, high protein lunches and it has this amazing chicken, pesto, and spinach quinoa. Whenever I go there for lunch, I always end up getting it even though there are other yummy looking items on the menu. I mean, chicken, pesto, and spinach? I’m in. And I love quinoa because of how versatile and healthy it is (see my latest post on quick and easy quinoa). So I really wanted to see if I could replicate this dish at home to satisfy the constant cravings I have for it. This dish is so rich because of the pesto, creamy and nutty with melted Parmesan, with a little crunch from the quinoa. This dish tastes so naughty, but it’s so incredibly healthy! It’s really high in protein (about 35 grams) and really low in calories (about 371 per serving). And because it’s so high in protein, it’s really filling. 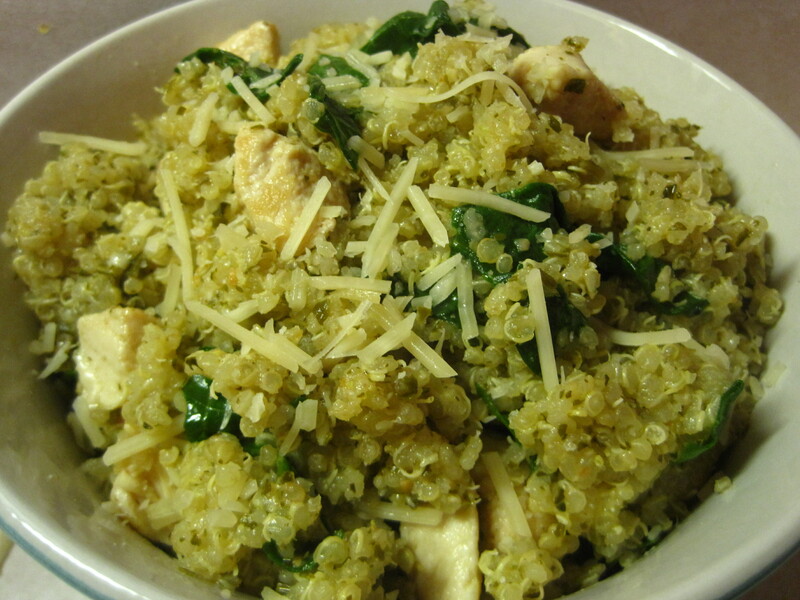 I promise, my chicken, pesto, and spinach quinoa will fix any comfort food craving. There's nothing better than curling up with a bowl of this chicken, pesto, and spinach quinoa and enjoying a movie on a colder Spring night. First, get your quinoa cooking on the stove – all you do for this is make basic “Quick and Easy Quinoa.” So, put your quinoa in a pot with 2 cups of water (remember, the ratio is 1 to 2, quinoa to water). Put uncovered over high heat on your stove and watch it until it boils. As soon as it boils, turn the heat down to low and cover. Since you have about a cup of quinoa this time, it takes about 15 minutes to cook. You'll know your quinoa is done when you see those little tendrils emerge. While your quinoa is cooking, make sure your chicken breasts are defrosted and chopped into small bite-sized pieces. I chop it before I cook them because it more evenly cooks the chicken and it takes way less time. 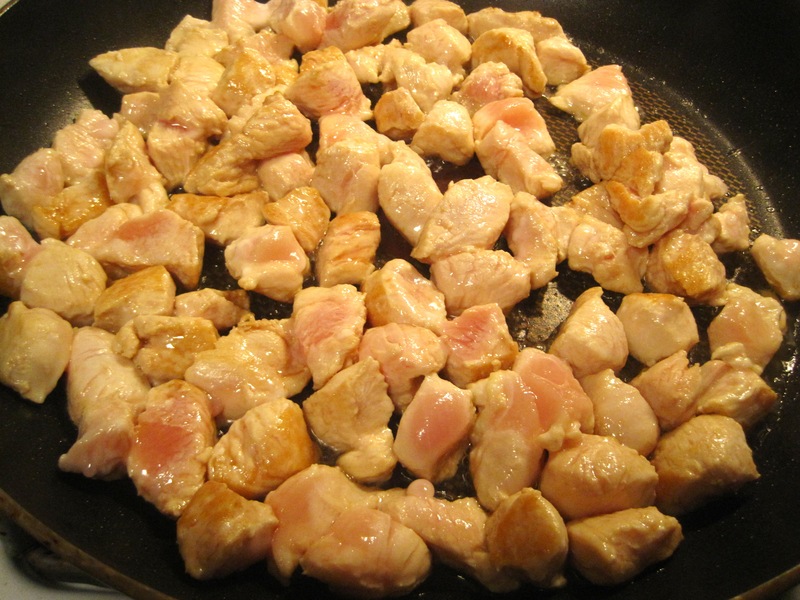 As soon as your chicken is chopped, throw it into a large pan sprayed with cooking spray over medium-high heat. Use a spatula to turn your chicken and make sure all sides are cooked – the chicken only takes a few minutes to cook. 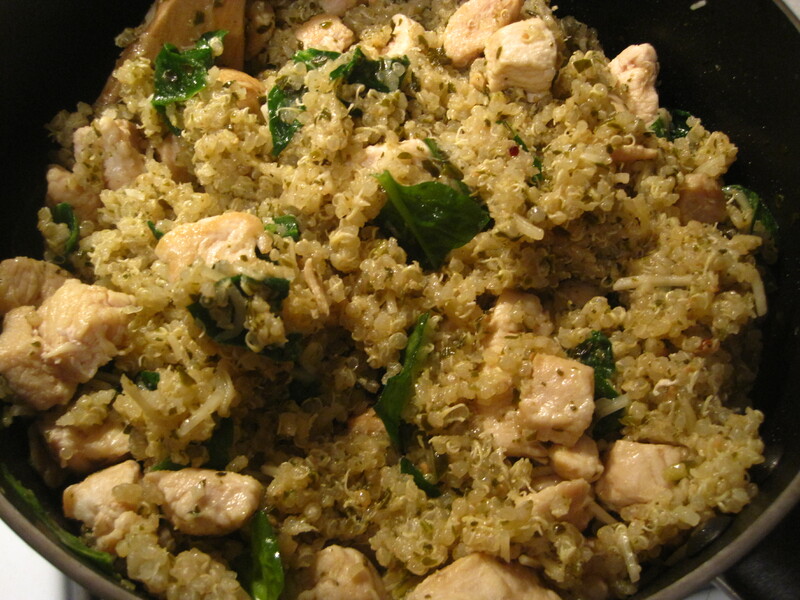 If your chicken is done before your quinoa, just set it over low heat to keep it warm. When it's cut into those little bite-sized pieces, the chicken takes only a few minutes to cook. After your quinoa is done, add your pesto and stir (any kind of store-bought pesto will do). 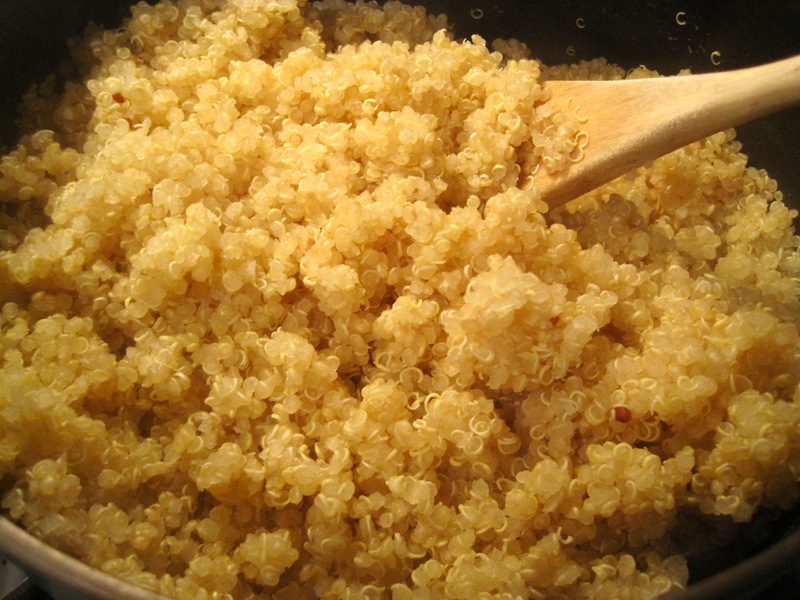 Then, add your Parmesan cheese and stir – by adding the Parmesan to the warm quinoa it gets nice and ooey, gooey, and melted, and also acts as a binding agent in your dish. Lastly, tear your spinach into more bite-sized pieces as you throw it into the mixture (you could also probably use cooked, frozen spinach if you have it in your freezer). After these three ingredients are combined, add your chicken and stir. Yum, yum, yum. I can barely avoid taste-testing this one as I cook! That’s it! It’s a pretty easy, healthy dish that cures your craving for comfort food. An exciting day for SeaJetCook: A feature!